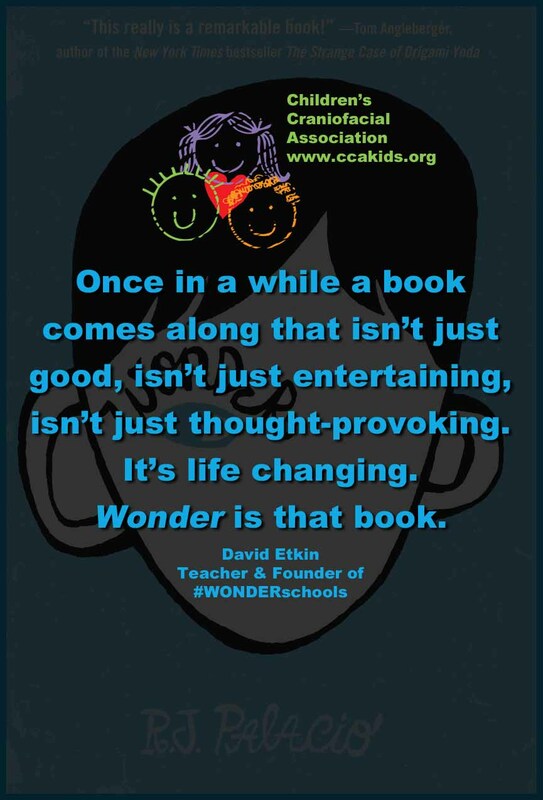 This Sunday I'm grateful for all the teachers who have been sharing the story of Wonder with their students. What a positive "meditation in kindness" this book is leaving with both kids and adults around the country! When Peter was born twelve years ago, I would sit by his bed in NICU and worry not only about his critical and complex medical issues. I was also anxious about how others would treat him, if he would have friends, if he would be bullied at school, and how he would deal with all the stares and whispers that were sure to become part of his daily existence. How amazing that around the same time of Peter's birth, a little girl with a facial difference made a lifelong impression on R.J. Palacio. If I had known that such a powerful message of acceptance would someday be written in the form of Wonder, my heart would've perhaps been just a little lighter. I've always been a self-proclaimed bookworm, so the fact that this campaign to "Choose Kind" comes in the form of great literature is absolutely perfect. Peter, incidentally, also inherited the bookworm gene. I love what David Etkin, teacher and founder of #WONDERschools, wrote in his review of the book. Thank you R.J. Palacio for choosing to write this beautiful, funny, touching, and powerful story. It is, indeed, life changing. P.S. Visit the blog on Wednesday, March 6th, for a special message from Peter & Jacob in honor of "World Read Aloud Day"
I'm thoroughly honored to be quoted in this post. You make even ME sound good. WONDER is that fantastic story that won't let me go. It has become a touchstone text in my classroom.